The Welsh Government’s vision for a world-leading science base in Wales was unveiled on Thursday 15 March during a keynote address by Wales’ Chief Scientific Officer, Professor John Harries, who delivered a public lecture at Cardiff University to reveal how he thinks this strategic agenda can steer Welsh science and engineering into the future. One the principal components this strategy is the Sêr Cymru (“Star Wales”) project which will involve expenditure of about £50 million over 5 years to attract research leaders to Wales. This announcement attracted quite a lot of local news coverage, e.g in the Western Mail, but it isn’t exactly a new proposal. In fact I blogged about it several months ago. Here is a summary of the points I made back then together with some new comments. For a start, much more needs to be done to identify and nurture younger researchers, i.e. future research stars rather than present ones. Most football clubs nowadays have an “academy” dedicated to the development of promising youngsters, so why can’t we do a similar thing for research in Wales? Research groups in different Welsh universities also need to develop closer collaborations, and perhaps even full mergers, in order to compete with larger English institutions. More controversially, I’d say that the problem is not being helped by Welsh universities continuing to be burdened by the monstrous bureaucracy and bizarre practices of the Research Excellent Framework, which allocates “QR” research funds according to priorities set by HEFCE in a way that reflects the thinking of the Westminster parliament. The distribution of QR funding in Wales, which is meant to supplement competitive grant income from UK funding bodies, should be decided by HEFCW in line with Welsh strategic priorities. Wales would be far better off withdrawing from the REF and doing its own thing under the auspices of the Welsh Assembly Government. In fact there are dark rumours circulating that HEFCW will not have enough money to pay any QR funding anyway. If that’s true then the widening funding gap between Wales and England will do more damage than can possibly be remedied by importing a few big shots from elsewhere. The sum involved (£50 million) seems like a lot, but it won’t pay for more than a few groups around Wales if they are in experimental science or engineering technology, because the cost of setting up new labs and acquiring new equipment is considerable. Although buying in mercenaries might be of short-term benefit, what are the chances that they’ll take someone else’s dollar in the near future? Wales needs a sustainable research base, so at very least I’d like to see a bottom-up project, encouraging younger researchers at PhD and PDRA level, perhaps through a system of national fellowships, to complement the “top-down” of the Star Wales project. Unless that happens, we might have leaders with no-one to follow them. I just came across an interesting bit of news that I thought I’d share with those of you who haven’t heard it already. It came out some time ago, in fact, but I missed it at the time. Over a year ago I went to a meeting about Science Policy in Wales. 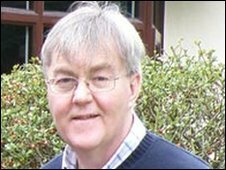 One of the issues raised at that meeting was that the Welsh Assembly Government hadn’t yet managed to appoint a Chief Scientific Advisor, despite the results of a review in carried out in 2008 by Sir Christopher Pollock that argued strongly that this should be done. In June 2009, the (new) First Minister Carwyn Jones finally announced that he would proceed with an appointment to this new position but it’s still taken quite a while to get someone to fill the post. Still, better late than never, and we now know who it is who will advise the WAG on matters scientific. It turns out that the first ever Chief Scientific Advisor for Wales will be John Harries (left), who is originally from Aberavon, and is the University of London Professor of Earth Observation at the Blackett Laboratory of Imperial College London, who has previously been a senior adviser to the UK Government in several roles. Professor Harries will take up his role on May 1, but I think he’ll carry on working at Imperial about 20% of his time. The Chief Scientific Adviser’s role will be to provide scientific advice to the First Minister and the Welsh Assembly Government, to promote science, technology, engineering and mathematics and the role of science within the wider knowledge economy. The appointment of Professor Harries as our first Chief Scientific Adviser for Wales will ensure that we build on an impressive track record of achievement, and develop a more effective promotion of science and technology within the wider knowledge economy arena. This will prove invaluable as we continue to encourage the knowledge, skills and enterprise to strengthen businesses in Wales ahead of the global economic upturn. It is a huge honour to be asked to become the first Chief Scientific Adviser for Wales and I look forward with great enthusiasm to carrying out this new role on behalf of the government and people of Wales. Wales is a small country, but is capable of the intelligent application of new science and engineering as a basis for greater commercial success in industry. The role includes acting as Head of Profession, providing a focus for good practice and the enhancement and encouragement of scientists and engineers in Wales. This is a job that encompasses two (along with my family and rugby) of my great passions – Science and Wales. I will give it my very best effort. The appointment of a physicist as Chief Scientific Advisor for Wales could be very interesting with regard to the future development of the subject within the Principality. In particular, the recent devastating cuts in the UK’s astronomy funding have led to some of our astronomers wondering whether they should work on space instruments that look down rather than up, and a move into Earth observation might now be even more timely. In more general terms, it’s good to see the Welsh Assembly recognizing the importance of science, although whether they see its importance being connected very narrowly with commerce remains to be seen. 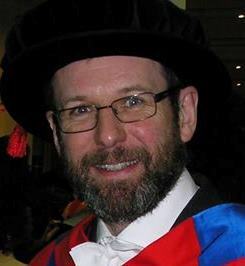 Anyway, I think it could turn out to be an excellent move, and I want to take this opportunity to wish Professor Harries the best of luck in his new job!